Think you’re skilled with an axe? Reckon you know your way around a hot saw? Well then, the STIHL TIMBERSPORTS® Championships might be the sport you’ve been looking for. 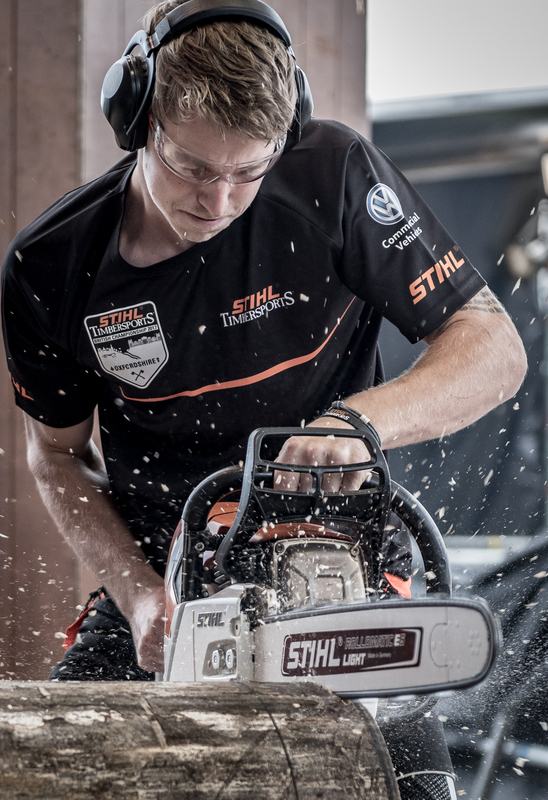 Now in it’s fifth year STIHL TIMBERSPORTS® British Championships are a real test of skill and technique. This year’s event took place at BBC Countryfile Live at Blenheim Palace, and they did not disappoint. The audience watched on as competitors battled it through to a nail biting finish. Welsh local Elgan Pugh came, sawed and conquered to take home the top prize. And it was no mean feat. Hacking their way through, tree trunks, handling heavy machinery and all against the clock requires real athletic skill. 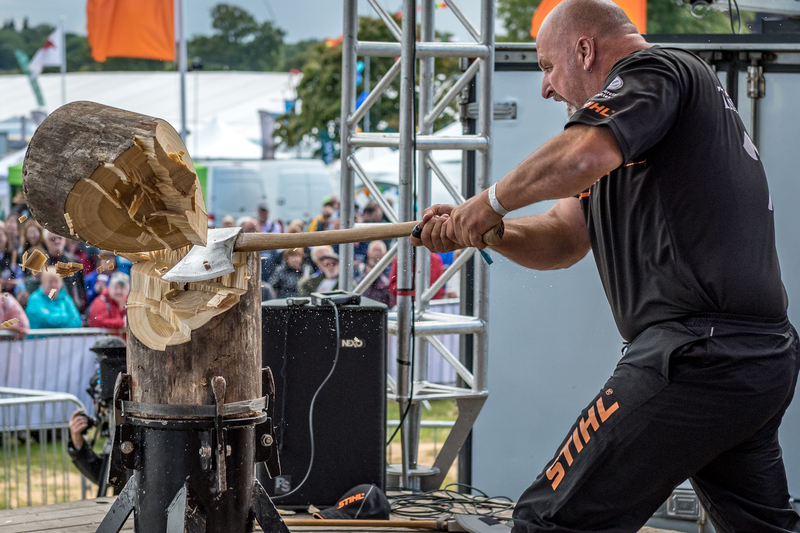 The STIHL TIMBERSPORTS® British Championship see the top 16 lumberjack athletes from all over Great Britain compete in a head-to-head race against time. There are six disciplines; Stock Saw, Underhand Chop, Single Buck, Standing Block Chop, Springboard and Hot Saw. Pugh claimed the top spot by only four points to win, showing a great display of technique, precision and strength. He beat off stiff competition from fellow Welshman Simon Bond and Glen Penlington, who placed second and third respectively. The championship winner was decided on the last event of the competition: the Hot Saw. The events tested the athletes’ nerves, challenged them physically and kept the crowd on the edge of their seats. Just like any sporting event the athletes train rigorously to be in the best condition to compete. The goal isn’t just to win the British Championships, but to also be in with a chance to represent Team GB at the STIHL TIMBERSPORTS® World Championships. “Every one of them will be hoping to be part of Team GB at the STIHL TIMBERSPORTS® World Championships in Norway in November and we have a great pool of talent to choose from,” Milton added. Do you think you could be the next STIHL TIMBERSPORTS® champion? 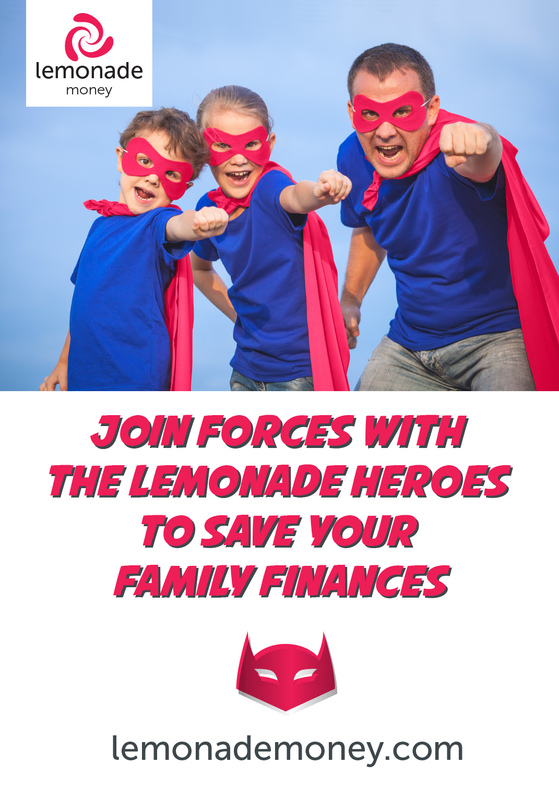 Find out more about the event here.